Netflix only made its way onto the awards stage twice during Sunday's 74th Golden Globes, but it still ended up as the night's biggest winner. The streaming service, which had been nominated for five Golden Globes, stole the telecast with a clever spot that aired during the show for its upcoming comedy, Santa Clarita Diet. 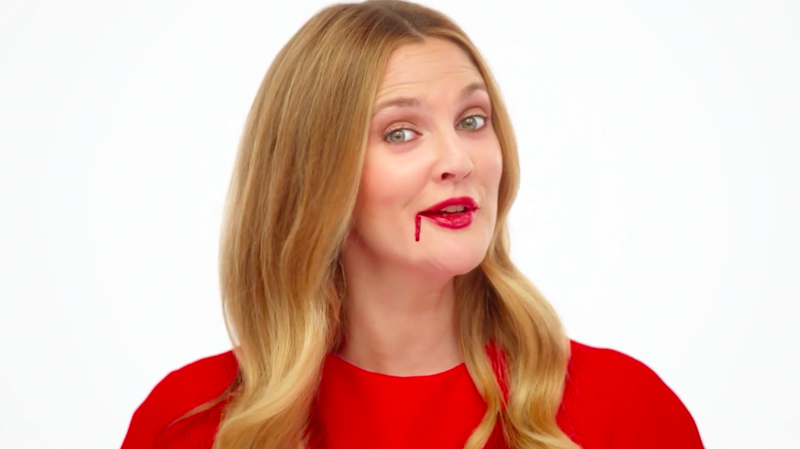 Netflix's ad for the comedy, starring Drew Barrymore and Timothy Olyphant, featured Barrymore in what initially seemed to be a typical weight-loss ad. A glowing Barrymore said, "Everyone is asking, how is it that I feel younger, more energetic and sexier than I have in years? It's the Santa Clarita Diet." But things started to go askew when she continued, "I satisfy all my cravings, and eat whoever I want," dipped her hand into a bowl filled with gore and an eyeball, and began munching. The spot was a nod to the big twist in the comedy, which hits Netflix Feb. 3. Barrymore and Olyphant play husband-and-wife realtors living outside L.A. in Santa Clarita, Calif., but Barrymore dies in the first episode, and—as one of the undead—soon must begin feasting on human flesh. UPDATE: On Monday morning, Netflix released a companion ad to Sunday night's Barrymore spot, spotlighting Olyphant. As for the Globes itself, FX led all networks with four wins. Donald Glover, one of Adweek's Young Influentials, was named best actor for a comedy series for his breakout FX comedy Atlanta, which also won best comedy or musical series. FX's hit miniseries The People v. O.J. Simpson: American Crime Story had the most TV Globe nominations overall, and won two Globes, for best miniseries and best actress in a limited series (Sarah Paulson). AMC's The Night Manager won three acting awards for the TV miniseries: Tom Hiddleston was named best actor, while Hugh Laurie and Olivia Colman took home supporting actor awards. The Crown took home two awards for Netflix: Claire Foy was named best actress and the series won best drama. Billy Bob Thornton, from Amazon's Goliath, was named best actor in a drama series. Black-ish's Tracee Ellis Ross won best actress in a comedy or musical series. Last year's Golden Globes ceremony drew 18.5 million viewers to NBC. The network hopes first-time host Jimmy Fallon will drive those numbers even higher. Fallon kicked off the telecast with the show's first-ever cold open, which parodied the opening number of La La Land, and featured cameos from Justin Timberlake, Ryan Reynolds, Tina Fey, Nicole Kidman, John Travolta and Amy Adams. A complete list of Golden Globe winners can be found here.